It may be coming towards the end of the school year but Orange Class aren’t slowing down with the wonderful work that we are creating across all areas of the curriculum. The pupils are proving to be incredibly reliable gardeners at the Turney School allotment. We have been paying particular attention to the magnificent sunflowers that are now growing from the small seeds that we first planted. Tomatoes and cucumbers have also been grown by Orange Class. This is a really important part the allotment project as it allows the pupils to make the very real connection producing vegetable and the food that we eat. When the time is ripe to harvest our crop, Orange Class will be using the vegetables to prepare a healthy sandwich as part of our current science work. We have just started a rather seasonal topic during our history lessons looking at the seaside, both past and present. The aim is for the children to observe what is different about the seaside that we visit now and the seaside from maybe 100 years ago. We also want to try and highlight some of the similarities such as having the sand and the sea. We are hopeful of treating the Orange Class pupils to a trip to the seaside before the end of term. Superheroes are also on show around Orange Class as part of our new literacy topic. We are looking at the idea of a superhero and some of the special powers that they may have. 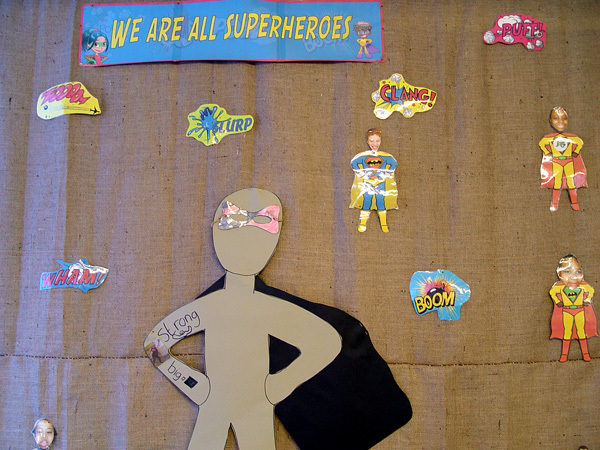 Each class member has created their own superhero as part of an Orange Class display. 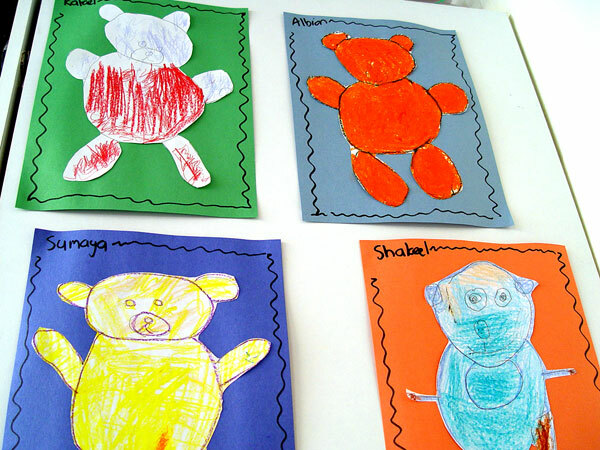 We have asked the pupils to describe some of the special powers that their characters have. This theme has also been used during Orange Class D & T sessions. Each class member has created a superhero mask to wear. We have had great fun wearing these and acting out some superhero role-play. We have also looked at the character of Thor and the special powers that he holds. 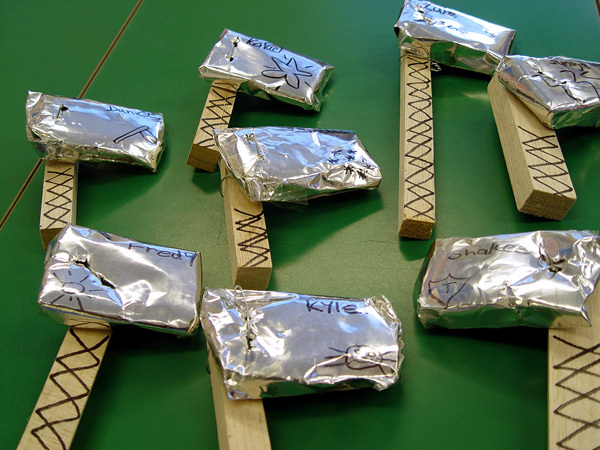 All children have made a magnificent hammer during D & T lessons. Other recent work around Orange Class includes the visit that we had from a local policeman to talk about Stranger Danger, drawing graphs in ICT and preparing for the transition to Key Stage 1 that some of the pupils will be making next term.